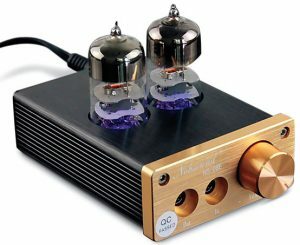 What is a desktop headphone amplifier? 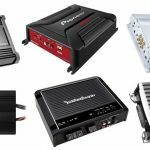 Think of these as headphone amplifiers that (typically) stay put on your desk, listening station, recording studio, or really anywhere you prefer to enjoy to listen to your favorite tunes. As opposed to portable headphone amplifiers, desktop amps for headphones remain stationary and do not intend to be traveled with. You can technically get away with bringing them elsewhere to use, but unlike portable headphone amps which most of the time fit in our pockets and operate on batteries, can’t be turned on without a power outlet. 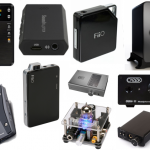 Buying a desktop headphone amplifier is going to transform your listening setup. 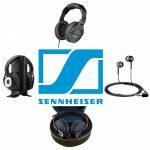 When it comes to those headphones specifications, and in particular impedance, more advanced headphones users will start to pay attention. Think of some headphones with higher impedance as an athlete running with ankle bracelets on. Without a headphone amplifier, they of course work as intended — listen to audio. However, their fullest potential isn’t reached yet. Not that you completely need to reach this ‘potential’ as you’ll always be able to technically use them, but many who purchase higher-end headphones invest the money for a reason — you’re an audiophile and care about the details which create the sum of its parts into a beautiful headphones whole. Using a headphone amplifier will then raise the voltage signal in your headphones (impedance) to a higher level which can then convert (also known as transducers) this level into sound-waves into your headphones. 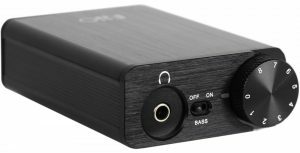 Coming in first in our list of the best desktop headphone amplifiers, this particular model equals quality sound with minimal space and have been proven time and time again by user reviews around the net. The m900 comes in a small, compact, and portable design, but contains the up-to-date features to provide a caliber of sound. It has six different modes for monitoring, a large (and obvious) rotary encoder for volume, an LED display and two different outputs. It’s ‘LOW’ and ‘HIGH’ modes of sound help to control the drive of your bass, while a self-powered mode lets you bring your own mobile device into the mix. 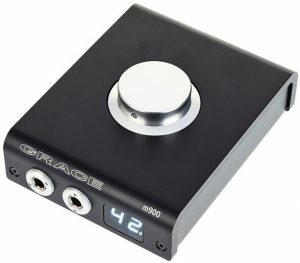 Again, a small design for the minimalist in all of us, plus a high quality option for a great price, makes the Grace Design m900 in our opinion one of the best headphone amplifiers for your desktop. It’s relatively pricey but well worth the money if you have it. 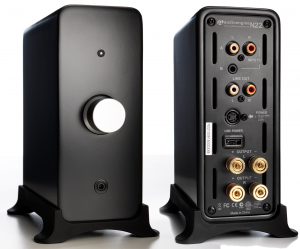 Another high quality option but this time for a budget-friendly price, the Monoprice 11567 desktop amplifiers provide professional grade sound to your headphones or speakers. 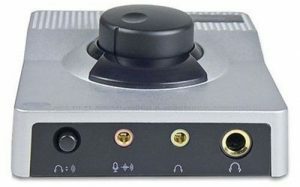 Aiming to reproduce your audio directly as it is heard on your desktop, many reviewers comment on the high standard sound their USB DAC produces when converting sound from their desktop, such as clarity to the subtle sounds contained in an audio to the bass that is harder to pick up just through the computer. The all-metal design is both durable and compact, has an LED screen, and has a volume control know that lets you adjust your volume directly on the amplifier rather than on your desktop computer. Plus, you can even connect to other external audio sources through the included RCA outputs on the back of the amplifier. Well-reviewed for being a budget friendly option with quality sound, the Monoprice 111567 desktop amplifiers are one of the best options available for a lot cheaper of a price than our previous recommendation. The design for the Nobsound NS-08E is definitely different from other amplifiers on the market. When first looking at it you may be reminded of something you would see in Doc’s garage in “Back to the Future”; however, just like how the insanity of Doc’s garage held a wealth of information to Marty, so does the Nobsound NS-08E amplifier. Created with the audiophile in mind, this amplifier comes equipped with both headphone amps and vacuum tubes to deliver a clarity in its sound while maintaining the authenticity of the audio. The vacuum tubes are able to increase the power of the signal they are receiving through their output and are actually preferred by many audiophiles as opposed to normal DAC and other digital-based amps (they praise it for the sound that just can’t be replicated by others). This also means that you have a reduced amount of impedance (resistance of electrical current) that allows you to hone in more on the sound that is being converted. A low-cost option with high quality results make the Nobsound NS-08E one of the best desktop amplifiers for purchase if you’re into tube amps. For those audiophiles who are in the business of wanting to customize their audio for a more unique experience, the FiiO E10K is one of the best desktop headphone amplifiers for this purpose. In fact, think of this amplifier as a noise cancelling headphone with a kick. This amplifier works to reduce low noise floor, which is basically all of the external noise or signals that could cut into your audio and disrupt the conversion from your desktop. This is a great highlight in addition to the bass boost which allows you to adjust the sound of bass in your audio for an individualized experience. The amplifier also comes with inputs and outputs for your headphones and desktop, as well as a coaxial digital output that can connect to your other devices, such as a DVD or CD player. The DAC chip works to reduce delay between shifts in tracks while continuing to deliver a quality audio. 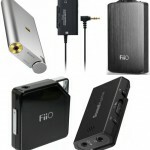 These features at a reasonable price make this FiiO E10K one worth considering in the desktop headphone amp category. 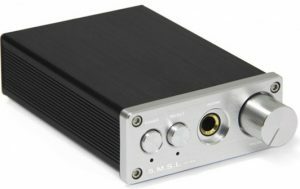 According to reviews written by owners of this product, the SMSL amplifier is the best desktop amplifier for the job from a brand nobody can recognize and a title that’s way too wordy. However, we wouldn’t only recommend amps just because of a brand name or title. Designed with a coaxial input interface, this amplifier can be used both with your headphones or hooked into a larger system, such as a SmartTV or a DVD/Blu-Ray player. The box comes with its own volume control, which allows you to “kick it up a notch” from the normal sound you are able receive. 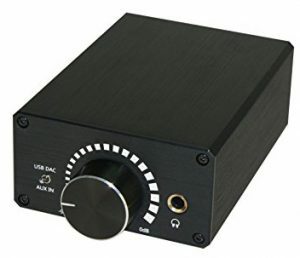 Now while it does not have the USB connection that many other amplifiers do, it does have an optical interface that can connect to video game devices to give you a sound quality that puts you right in the middle of the action. Durable, subtle, and designed to give you a hi-fi stereo feel, the SMSL SD793-II amplifier is a well-reviewed and budget-friendly option for those seeking to enter the world of headphone amplifiers. While it may look simplistic and unassuming in its overall design, the XtremPro 65003 is one of the best desktop headphone amplifiers in the market for its reliable quality and ability to reduce low floor noise. The design of the amplifier has a high current output, which is meant to lower any impedance that may occur in the conversion of sound from desktop to amplifier and deliver clarity and precision in your audio. A variety of interfaces give this amplifier many additional uses with the included USB and AUX inputs. However, the power that really delivers with this amplifier is the ALPS potentiometer, which is highly regarded by professionals alike as being one of the key “ingredients” in both hearing and creating the perfect sound for an audio recording. Reduce the distortion, increase the performance of the audio, and you have the XtremPro 65003, a beautiful headphone amp for the money. Another option with one of our favorite components in the vacuum tube, the Bravo Audio Ocean is a sturdy device that delivers enough power to make it one of the best desktop amplifiers available for a budget friendly price. This amplifier lives up to its name in that the aluminum body really does look blue like the ocean, so for someone like me it is nice to have something that differentiates it from all the other choices. The front of the device gives you two different sizes of headphone inputs to make it accessible to almost any headphone or converter you may be listening on, while the back gives you two different options for line input. This gives you the accessibility of using it not only with a desktop, but also with an iPad, DVD player, or even a stereo. 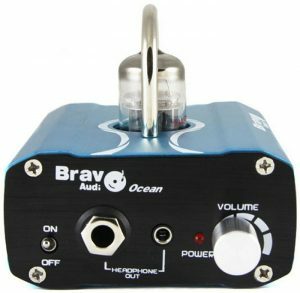 It has all of the features needed for a quality amplifier, and for those of us who may not be the best with technology, the Bravo Audio Ocean is an easy-to-use option when beginning to wade into the watery world of amplifiers. Ultimately however, this desktop headphone amp’s sound is unmatched and praised by many. Compared to the other amplifiers on this list, the Audioengine N22 does stand out. Its design is a tad larger and less portable than many of the other options, and it does work best when connected to speakers rather than headphones. However, the features that are included with this option easily makes it one of the best amplifiers for your desktop. The one knob on the front of the amplifier turns the device on and off and also controls the volume. A USB port underneath this knob also lets you plug-in any of you wireless devices, and will even go so far as to charge devices like your iPod or smart phone. The two audio inputs on the backside let you connect to your computer or audio device and directly stream the sound through your speakers, giving you what can be considered your own at-home listening studio. The wood design makes it both reliable and accessible in the overall feng shui of your home with a subtle appearance that most would not recognize as an amplifier. A simple setup to install on to your computer, and the Audioengine N22 is good to go. Of the options on this list, the Denon DA- 300USB amplifier is the most expensive choice; however, it definitely has all the bells-and-whistles that a true audiophile will appreciate when seeking the best desktop headphone amplifier. 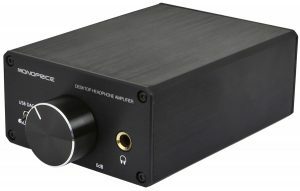 Able to work with both traditional and digital sound files, and equipped with three different input sources (one coaxial and two optical), this amplifier works with a variety of audio devices that you may have, taking your listening to an entirely different level by providing the highest quality of sound reproduction. The design is simple with its touch control and its OLED presentation that lets you know exactly which input is being used. Plus (and here’s where the Type-A person in me gets really excited) you can choose how it fits in your space by being able to mount it either horizontally or vertically. High budget but high quality make the Denon DA-300USB a strong contender for those with higher budgets. 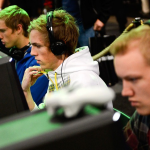 At the end of our guide here, we’ll cap it off with a reliable and affordable pick. The Syba Sonic digital analog converter takes your more simplistic sound from your computer and refines your audio to create in your audio. A toggle switch lets you individualize your music in choosing how you would like to listen to your music with an option of three different modes (bass, line, and treble). The volume knob is also accessible by being located directly on top of the design, so there will be no problems adjusting your sound when needed. A high quality for a low-end price, the Syba Sonic SD-DAC63057 delivers exactly what is needed in a standard amplifier for desktops.